Panel discussion with David Aubrey and Nanda Currant, filmmakers; Poki Piottin and Dominique Pozo, Gaia Gardens Founders; Erin O’Neil, Head Farmer/Teacher Culinary Arts Santa Fe Community College; and Joel Glanzberg, Author Patternmind and Permaculturist after the screening. Bringing Food Home focuses on sustainable solutions for local food in Northern New Mexico. The documentary features several farms and gardens in the region practicing regenerative agriculture. 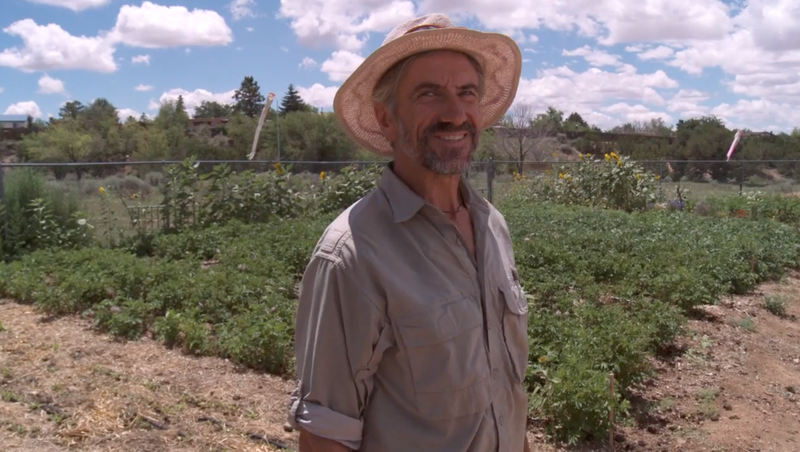 Produced over the last two years, the documentary hopes to provoke constructive dialogue, inspiring Santa Fe and other cities to embrace urban agriculture as essential to resilient community. It explores the need for visionary policy change, as well as a radical shift in our relationship to food. Local farmers, land-use professionals, educators and policy makers present insights into fostering a sustainable future.